You know I love a good plate wall. From my eclectic dining room plate wall to the tons of inspiring ideas I’ve pinned to my Plate Wall Pinterest board, it’s obvious. 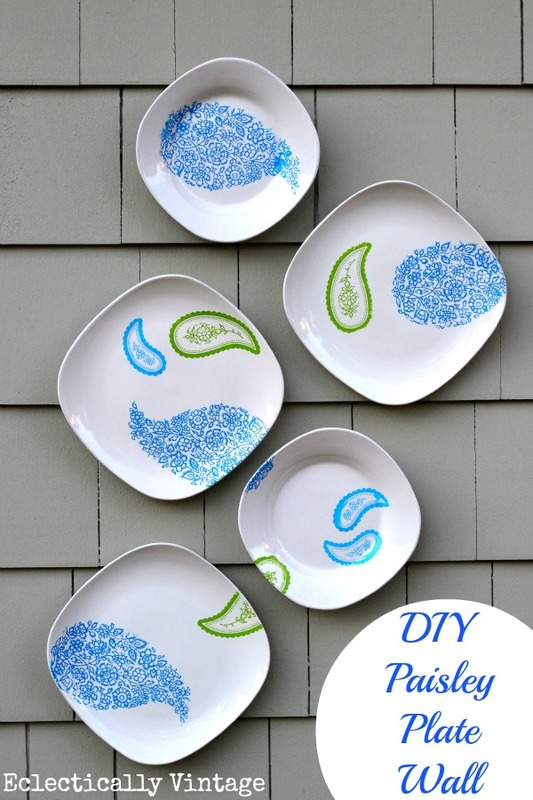 So what’s better than being able to create your own DIY plate wall in any pattern and color you desire? 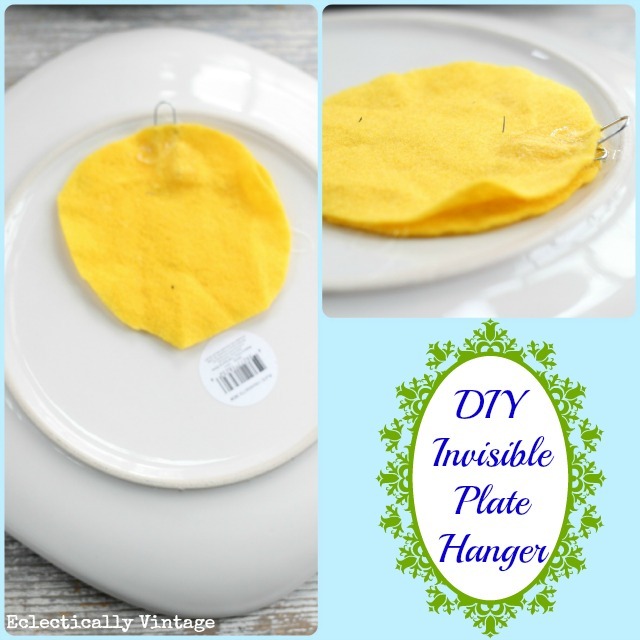 I love these invisible plate hangers and use them but since I didn’t have any on hand, I whipped up my own version with just 3 simple things. Note: Don’t do this on valuable plates or hang over beds! 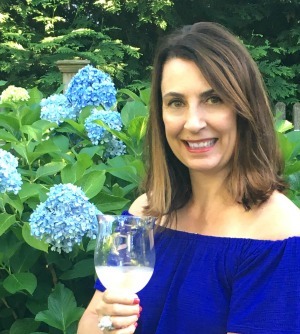 Thrilled to be part of 12 Months of Martha – where I create something fabulous every month. Love the bright colors and your hanging technique is inspired. 🙂 Happy Monday, Kelly! I may not love up chevron but I do love me some paisley. Including Brad. So cool & clever! love those Kelly! Cute cute Kelly! I love how you painted them! Those are great. You can’t even tell the patterns are stenciled on. You’ve got skillzzzz. ! I LOVE this project! Totally pinning! The colors are perfect for spring! You go girl! These are very pretty plates what a terrific idea…. And beautifully arranged as well….! I love these Kelly! Those stick on stencils look like they leave a nice clean edge. Beautiful! Way to go Kelly!!! The plates turned out AMAZING!!!!! Kelly, this is really awesome…I never realized you could do this with plates! I love the self hanger tutorial, too! Thanks for sharing! super cute plate wall! I love that paisley pattern! Martha suggest these should be for display – not eating Vel! Love the look! And I really love that stencil!! I’ll be looking for it next time I’m at Michael’s. Beautiful. Thanks for the hanger ideal! I’m a huge plate decorating fan too. I love the way they flow together. Is that an exterior wall? That would look great on my sunporch. My visible plate hangers seem SO out of date. Thanks for showing how to make them invisible. 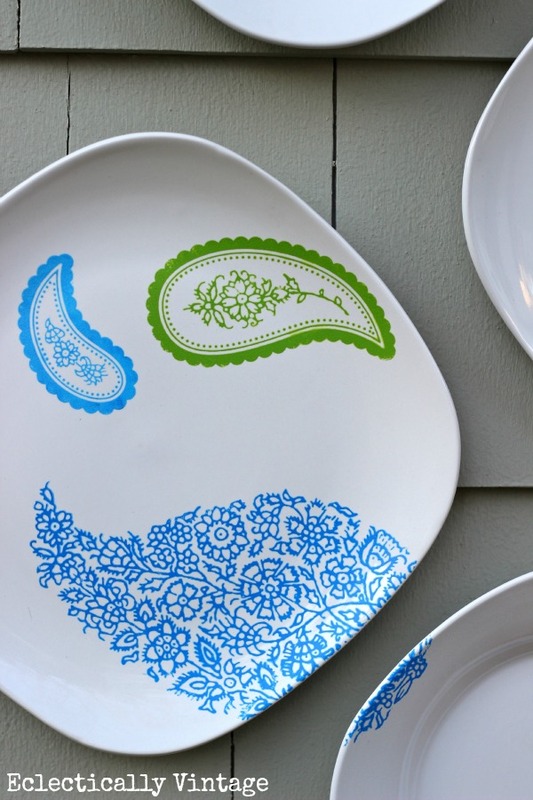 Love the paisley stencil and the way you varied each plate. Just fabulous! How gorgeous! I love the colors and the paisley…beautiful. Each plate is beautiful, and so is the display. I just love paisleys. Love this Kelly so pretty! The colors are some of my favorites and I love that stencil! Kelly! I love these plates!!! These are so sweet! I’ve always liked paisley and your color choices are very fresh and fun for spring. It looks like these are hanging in an outdoor space too….I like that idea. We have a wall of wooden fence that our deck butts up to and I would love to add some interest there. I love how you led one plate into the next by breaking the stencil pattern over the two plates… clever gal! Good tip about not hanging over the bed. Love these, wish I had an empty wall! Love it! 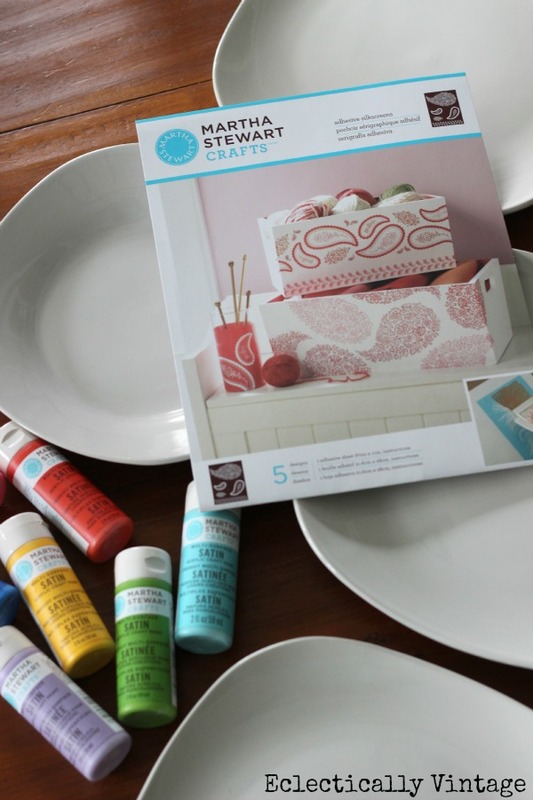 I’ve looked and looked at Martha’s stencils at Michael’s…just couldn’t decide what to do. This is such a great idea! Those are to die for. Now my brain is churning, thinking of all the rooms I could hang plates in & get away with it wthout looking like I just inherited a china shop! 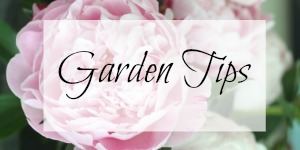 One question, before your hanging tutorial, you said “these” were your favorite late hangers, but since you didn’t have any on hand, you were making your own. Was there supposed to be a picture o a link to the “these” you referred to? 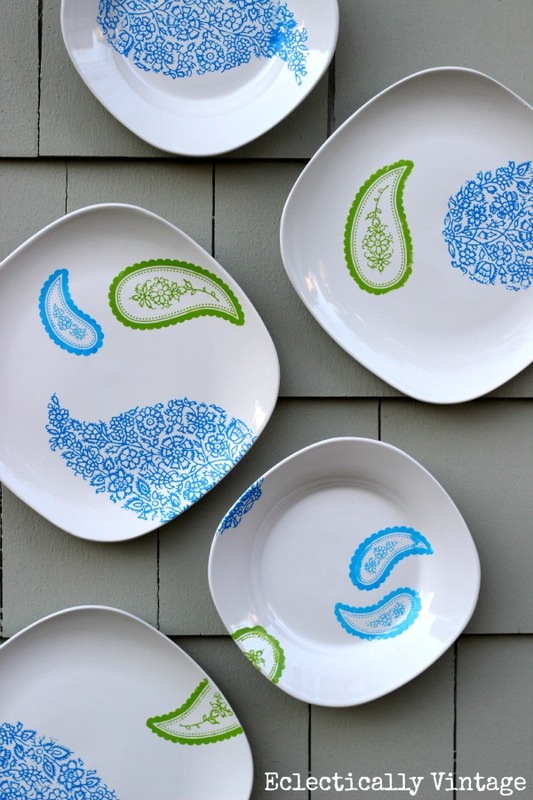 What a great idea to paint some white plates! Can you eat off these or are they just for decoration on the wall? They are decorative only Danielle. You could definitely do that Jen but I found that super glue works like a charm!